This is the Dai Vernon book to rule them all. 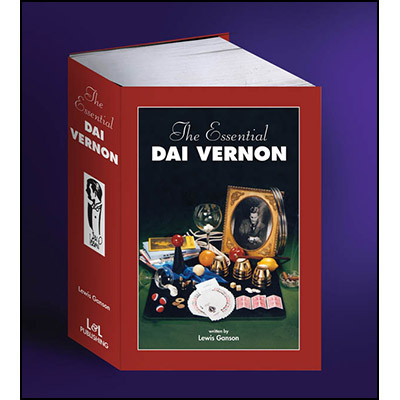 Dai Vernon was the most influential magician of the twentieth century. His vision helped to define and raise the artistry of close-up magic to a degree unequalled by any other magician then or today. His thinking pushed magic into the modern era. His contribution to magic was essential to its refinement and growth. His own magic is perhaps the most important—indeed essential—body of work ever produced for the art. Along with all those books you'll find the remarkable, previously unpublished "Vernon Scrapbook," which contains more than 70 pages of rare photos, correspondence and memorabilia! If you manage to read all of this book, we're certain that you'll become twice the magician you were before!